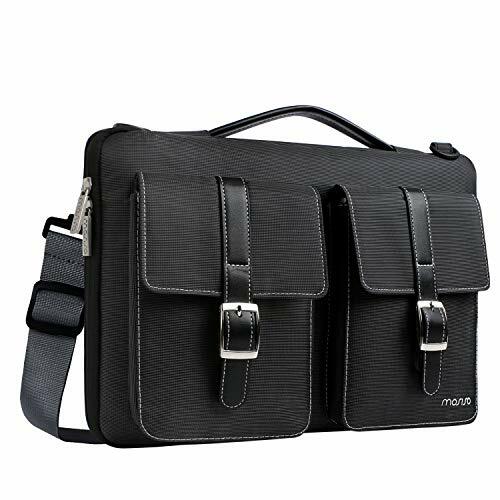 ✔ TOP HANDLE HIDDEN IN THE POCKETS - It is not only a carrying bag but also a sleeve to put into your bag. 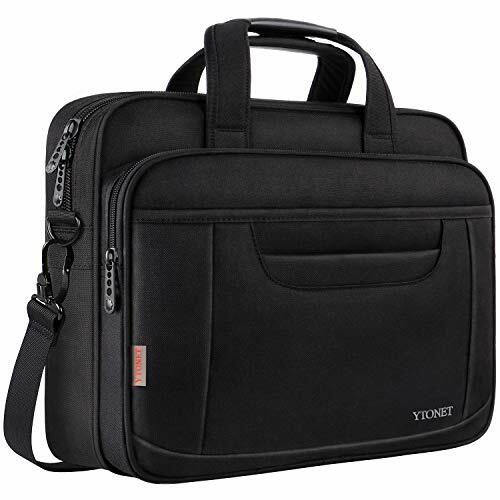 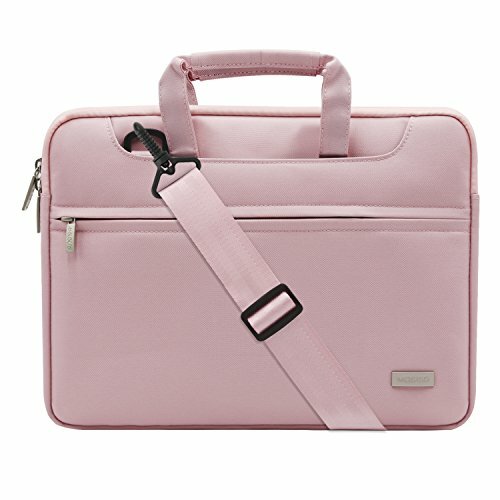 With the handles opened, this product can be used as a laptop carrying bag. 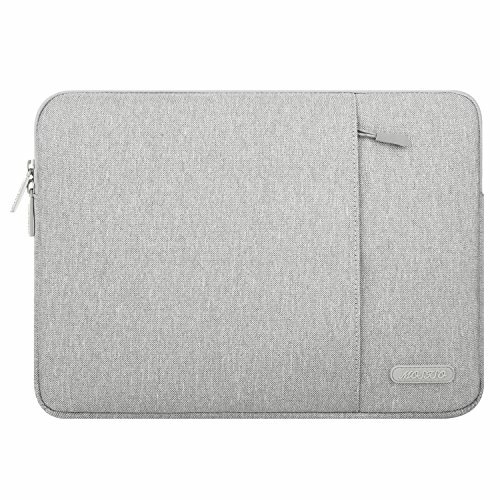 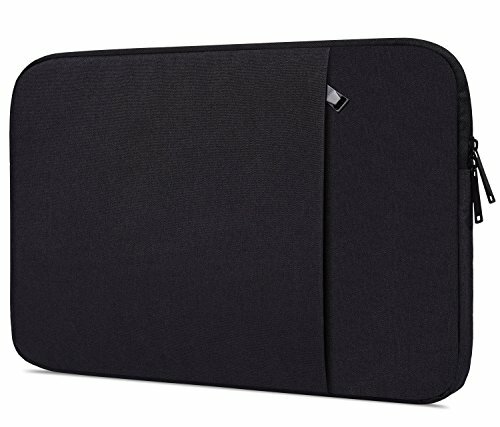 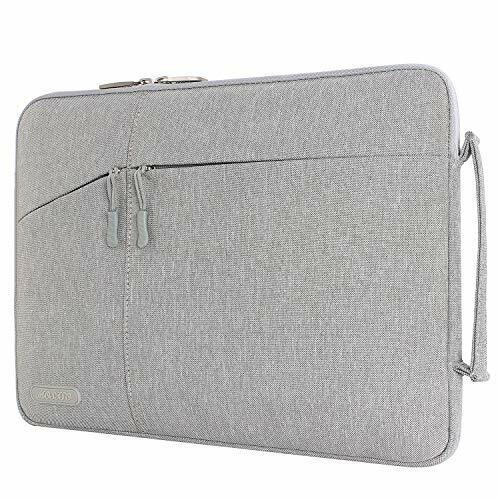 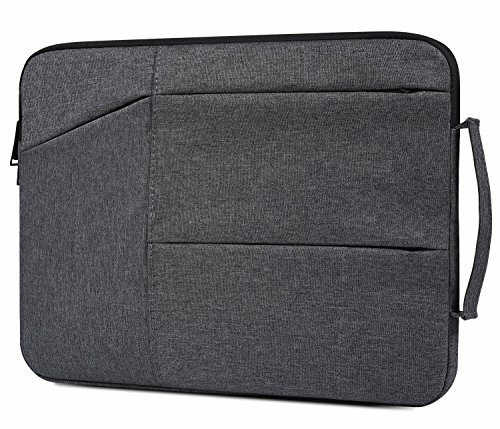 When hidden in the pockets, it can be used as a laptop sleeve which easily slides into your briefcases, backpacks or other bags. 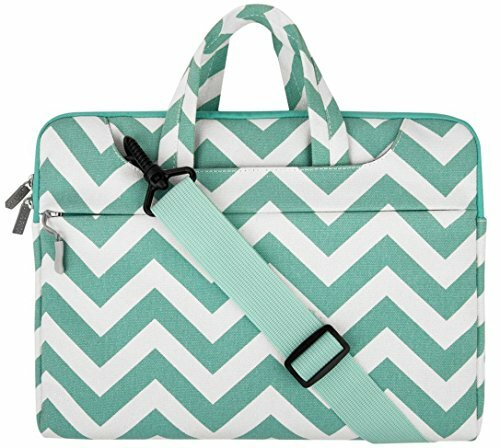 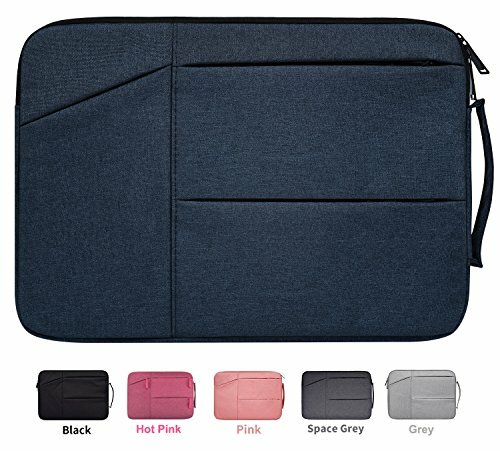 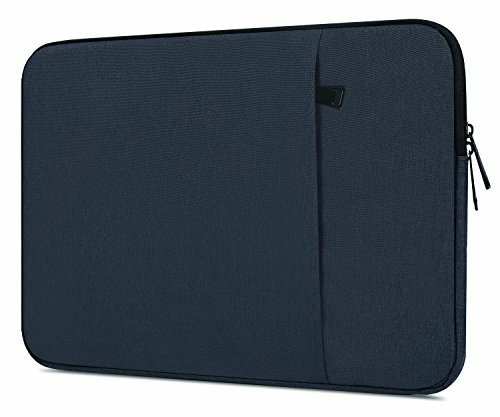 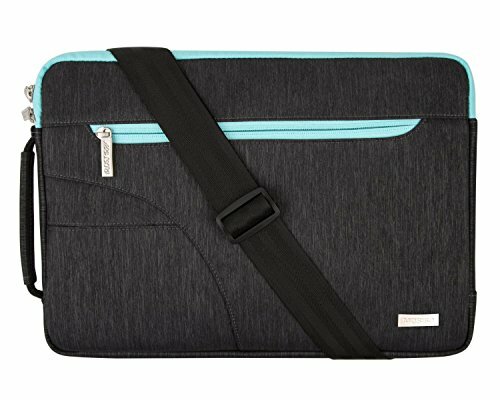 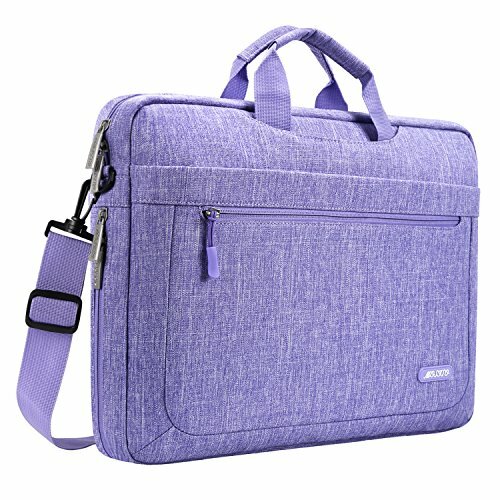 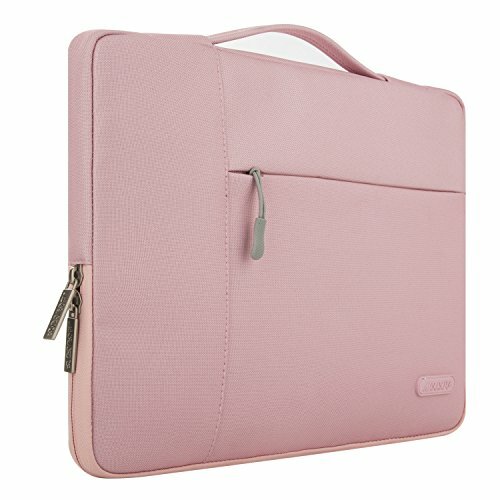 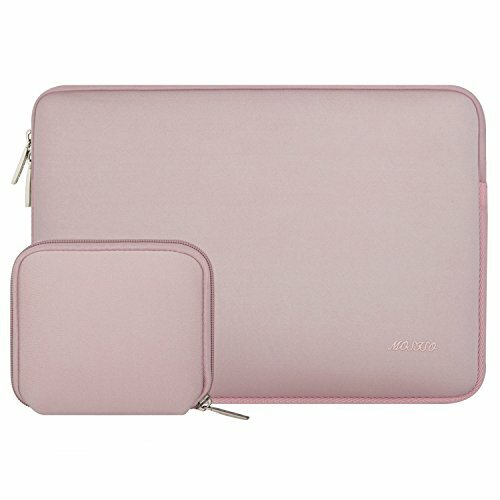 Expandable capacity (9 to 11 inches ) - The expansion zipper makes the computer bag more flexible, it can be transformed as a duffelbag whenever you need. 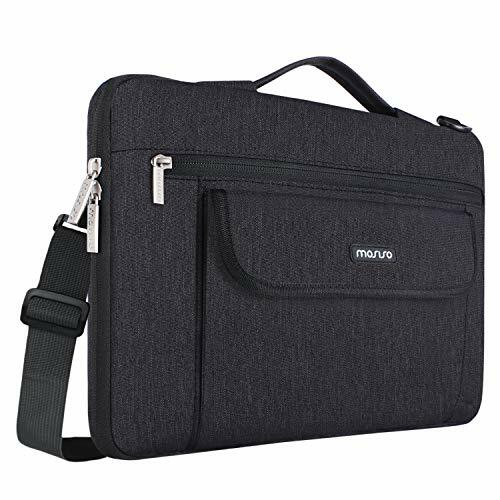 COMFORTABLE：Removeable and adjustable PU padding shoulder strap, and dual sturdy handles for long time comfortably carrying. 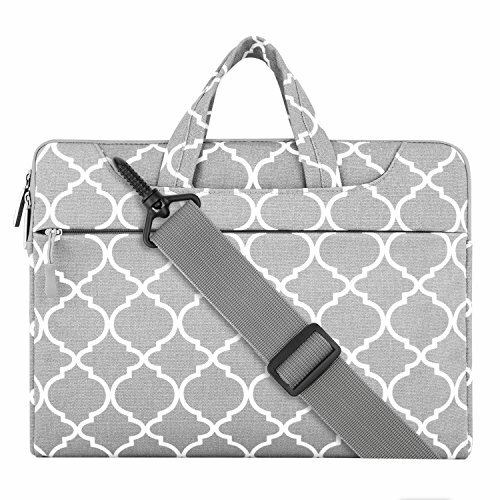 CONVENIENCE: A wide Luggage belt securely attaches briefcase to most rolling luggage. 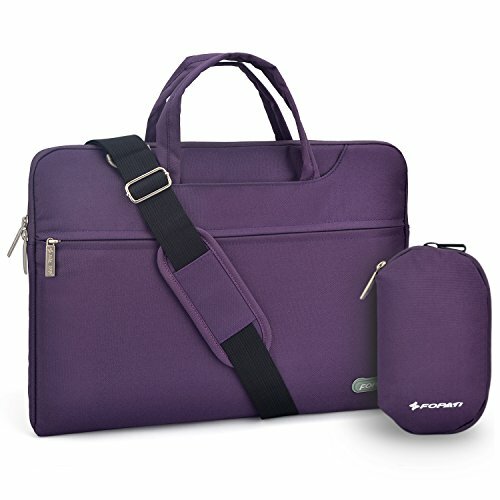 It is really convenient for your happy journey to any where. 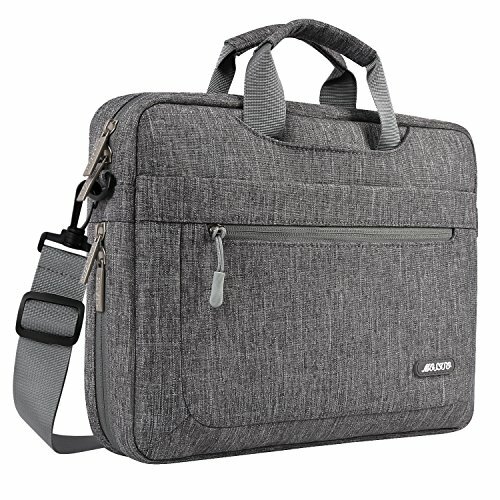 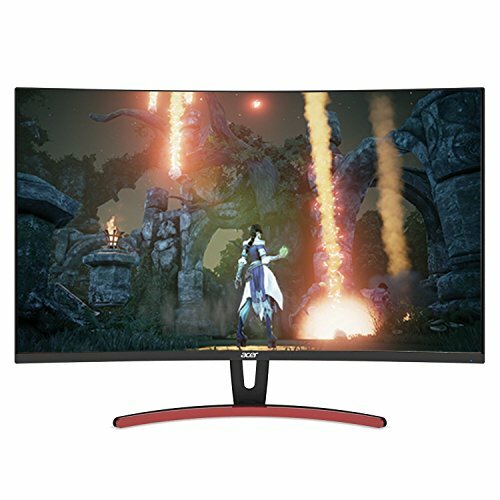 COMPATIBLE: Acer Swift 3 (SF315-41G-R6MP) (15.6"), NITRO 5 15.6"; Apple Macbook pro 15.6; Asus ZenBook 15 UX533FD (15.6"), VivoBook F510UA-AH50 (15.6"); Dell Inspiron i3573 (15.6")/ Inspiron i3573 (15.6"), XPS G5 15 Gaming (5587) 15.6", XPS 15 (9575) 2-in-1; HP Gaming Pavilion 15-cx0056wm (15.6"), Notebook - 15-bs289wm (15.6")/ Notebook 15-DB0011DX (15.6"); Lenovo Thinkpad X1 Extreme/ P1/ P52, Legion Y530; MSI P65 Creator (8RF-450US)(15.6inch); Samsung Notebook 9 Always, 9 Pro 15". 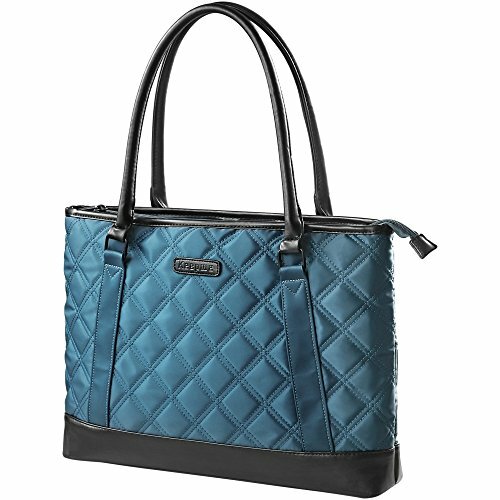 WATER RESISTANT & INCREDIBLE LIGHTWEIGHT : Made of water resistant nylon, which obstructs water and vapor effectively. 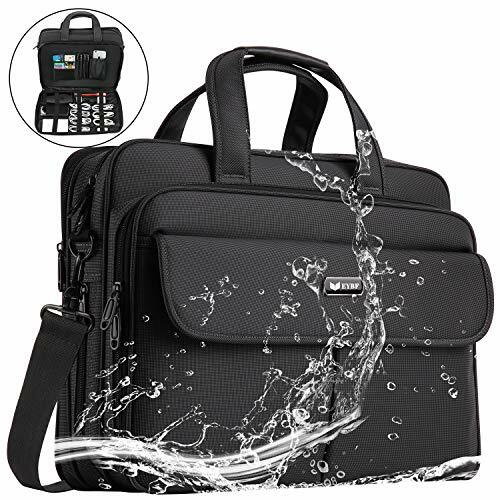 Don't worry about getting your laptop and accessories wet from splashing water or rain. 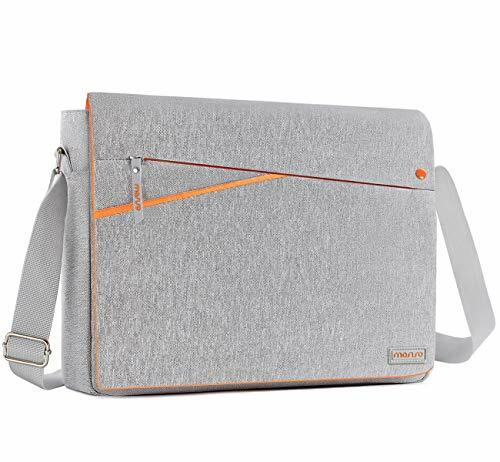 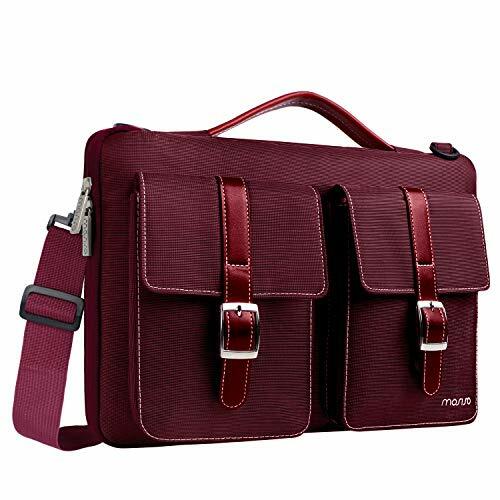 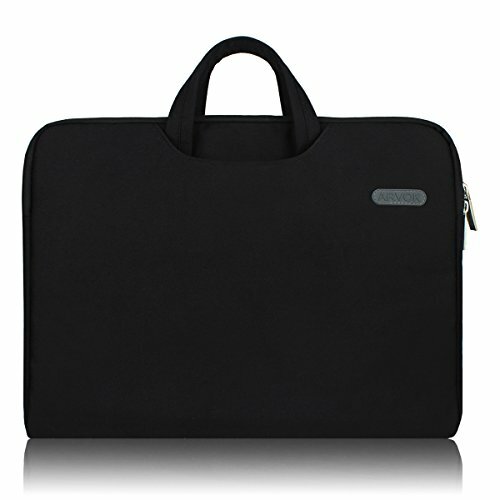 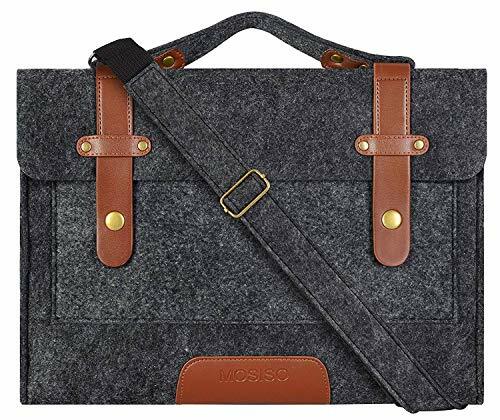 Weighs only 620g (1.4Ibs), making this laptop bag really convenient for your daily activities. 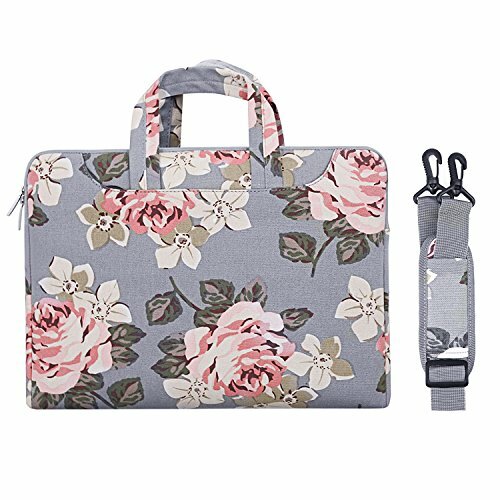 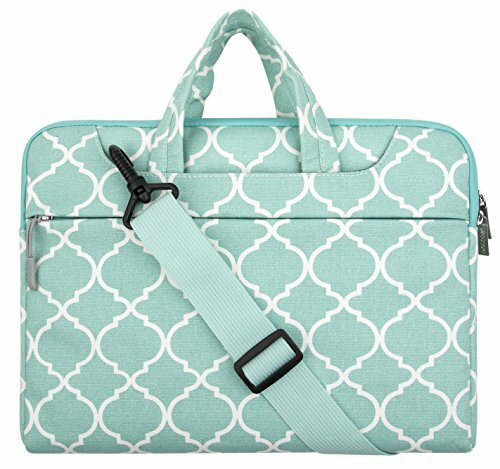 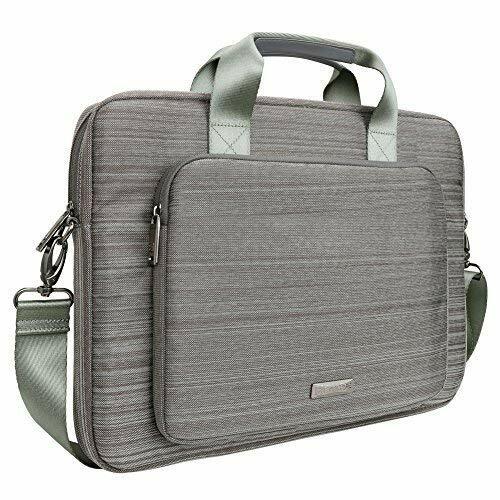 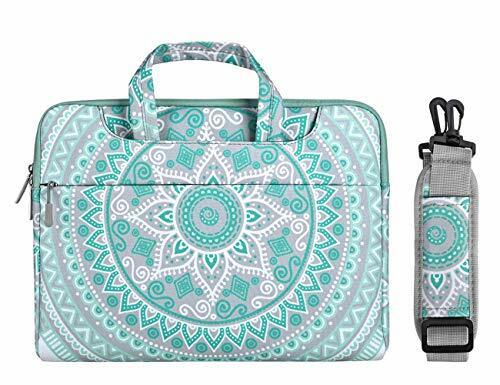 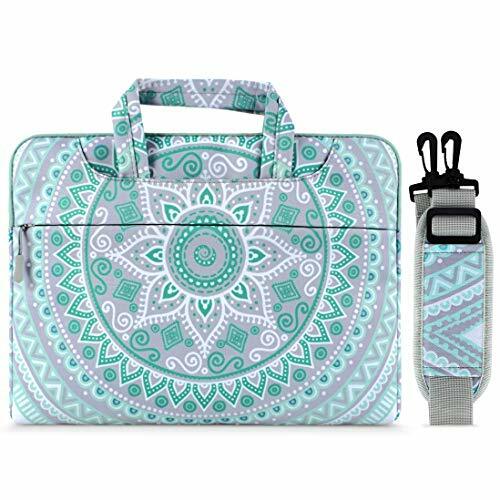 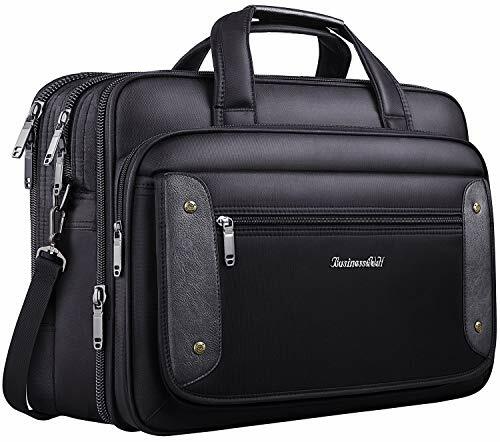 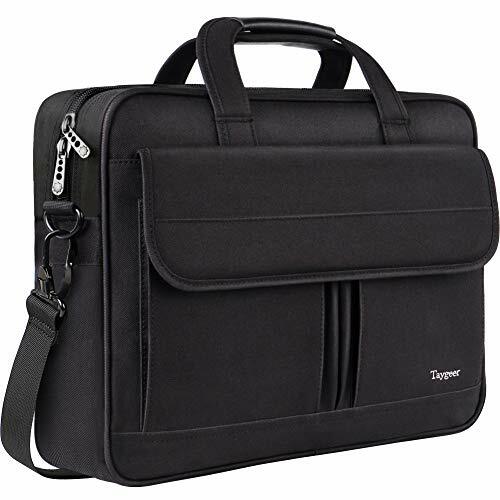 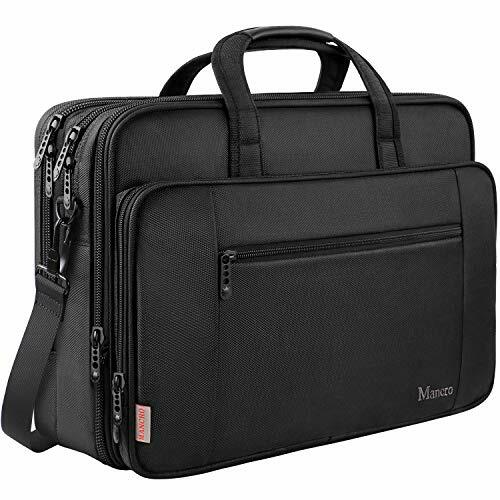 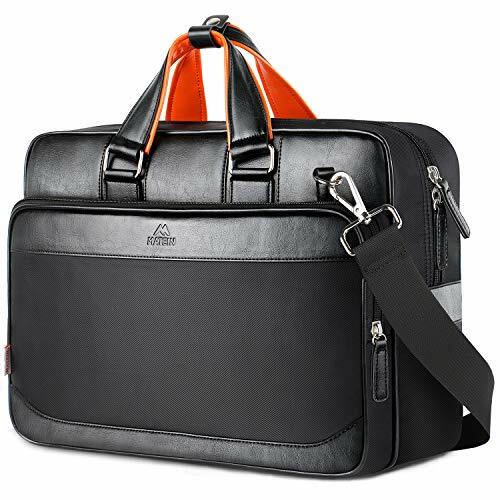 STURDY HANDLES & DURABLE ZIPPERS WITH SEPARATED LAPTOP COMPARTMENTS: this laptop bag builds with quality nylon and refined durable metal zippers, eliminating your hassles of returns and resewings. 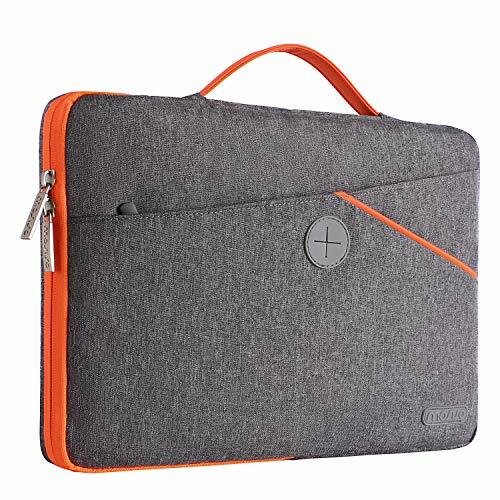 Separated compartments perfect for your laptop, keyboard, iPhone, iPad, power bank, files and charger. 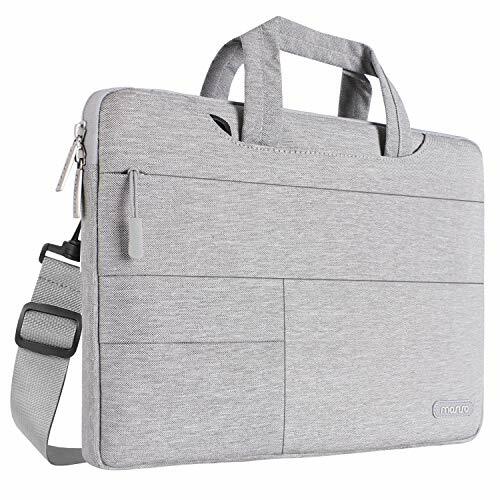 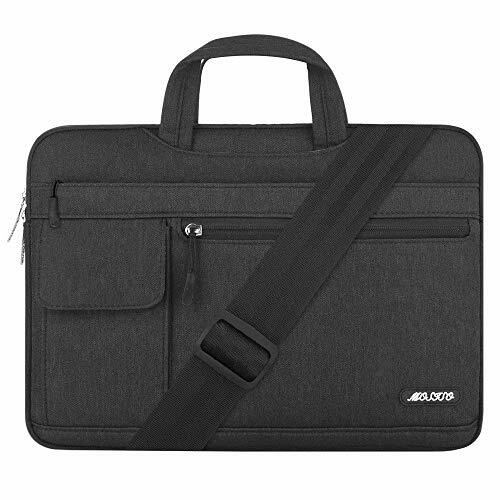 REINFORCED SOFT FOAM PADDED COMPARTMENTS & STYLISH APPEARANCE: the laptop bag provides thick padded foams that effectively absorbs bumps, reduces damages caused by accidental impacts and scratches. 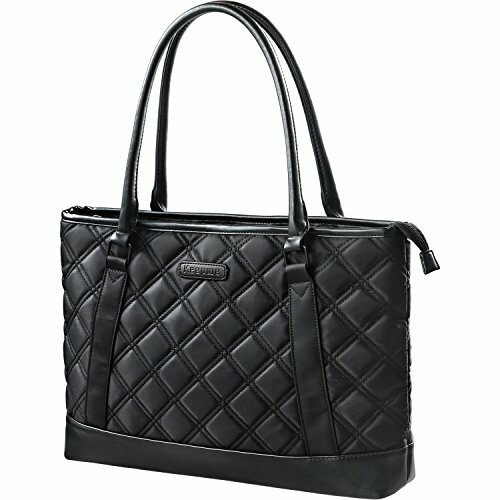 Stylish quilted-pattern appearance with perfect size admirably suits for businessmen and fashion ladies. 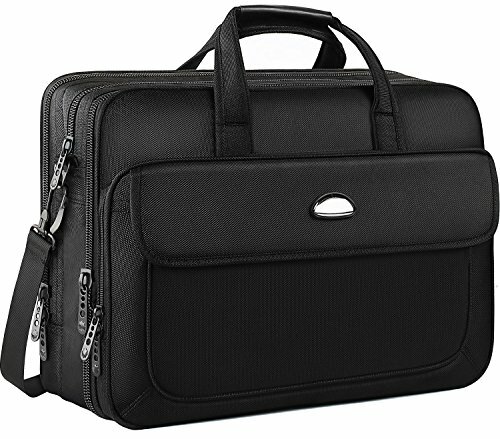 DIMENSIONS: Exterior: 16.2'' x 12.6'' x 2.8'' & Interior: 15.6'' x 12.2'' x 2.4''. 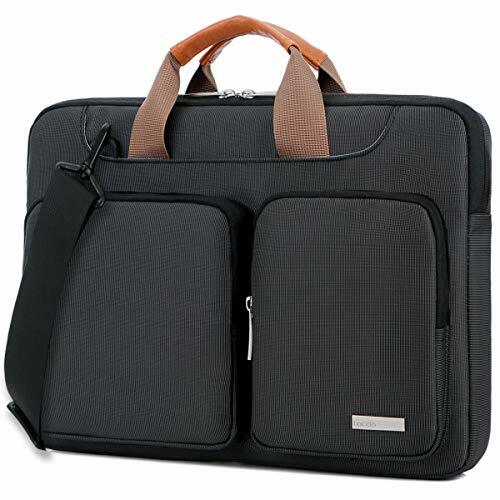 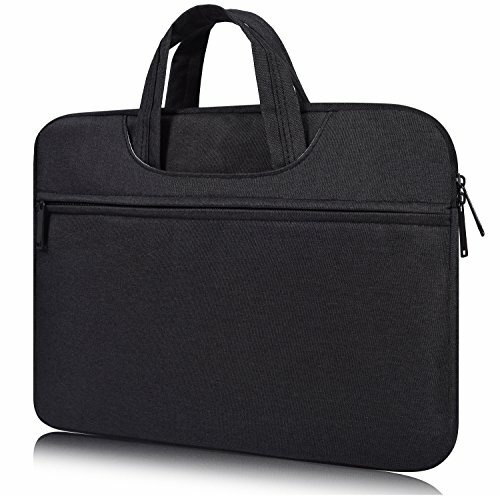 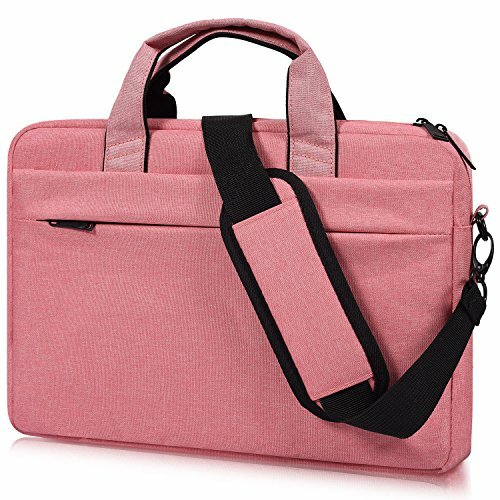 This laptop bag is made from a good quality nylon material with great disposition, leaving no bad odors as some materials leave behind. 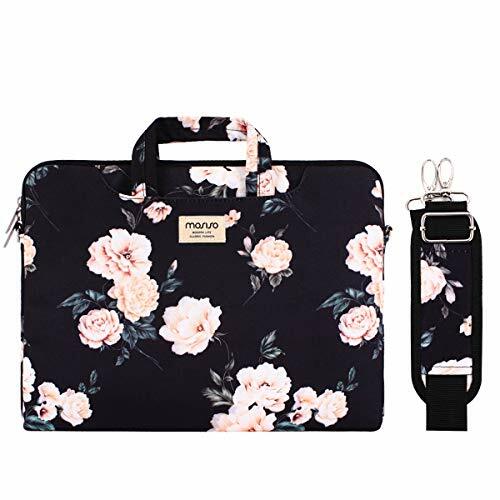 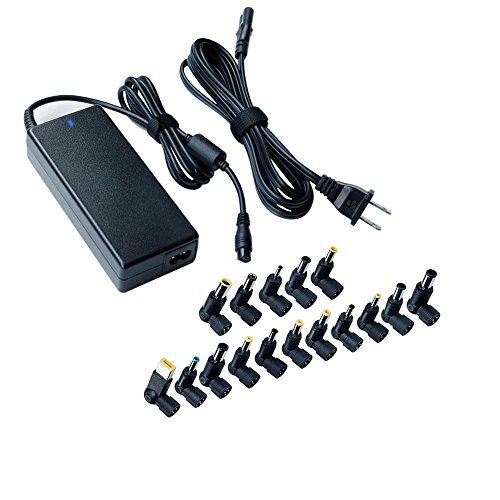 COMPATIBLE WITH MacBook Pro MJLT2LL/A 15.4-Inch, Macbook Pro MJLQ2LL/A 15-inch, Acer Aspire E5-571P-59QA / Acer Aspire E 15 ES1-512-C88M / ASUS X551MA/ ASUS ROG / Fujitsu LIFEBOOK A512 NG / Lenovo Thinkpad E545 / HP Pavilion 15-r030wm / RV510 / Sony / Toshiba Satellite C55-A5105. 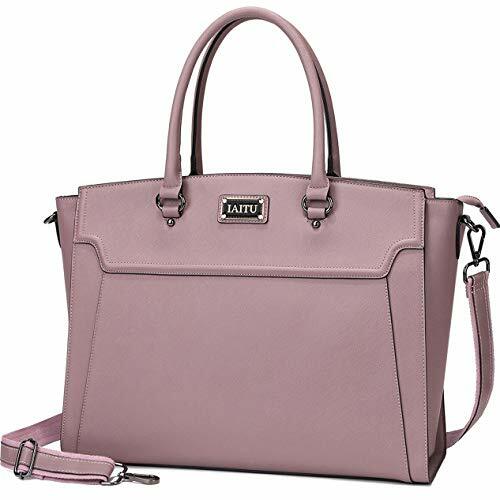 Due to variations in the sizes of different models. 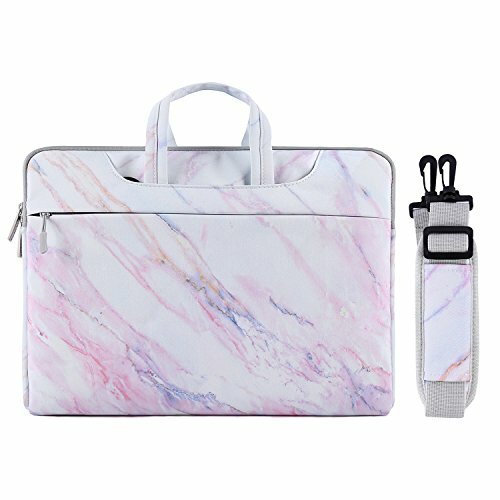 please check the dimension before purchase.